TOKYO (Reuters) – Nissan said it was seeking to block former chairman Carlos Ghosn’s access to an apartment in Rio de Janeiro, citing a risk that the executive, arrested and removed from his role for financial misconduct, may remove or destroy evidence. Brazilian-born Ghosn has been detained in Tokyo since his Nov. 19 arrest on suspicion of conspiring with former Nissan Representative Director Greg Kelly to understate his compensation by about half of the actual 10 billion yen ($88 million), over five years from 2010. A Brazil court has granted Ghosn access to the property, owned by Nissan, in the Copacabana neighborhood, but the company said in a statement on Sunday that it was now petitioning a higher court to reverse the decision. “Nissan has been cooperating with authorities to investigate misconduct on the part of its former chairman, and is working to prevent the destruction of any potential evidence that could occur by allowing access to residences in question,” a Nissan spokesman said. A person close to the Tokyo prosecutors’ office told Reuters that Ghosn, Kelly and Nissan itself will be indicted as early as Monday. 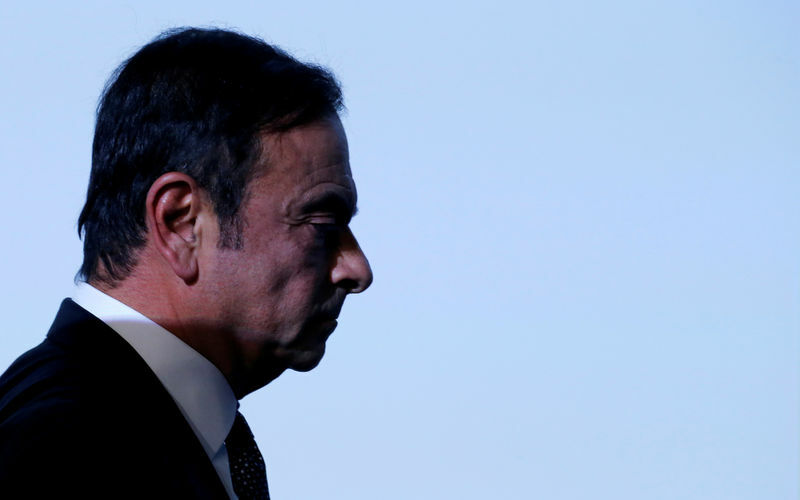 “Nissan identified serious misconduct related to the reporting of Mr. Ghosn’s compensation. The company has been providing information to the Japanese Public Prosecutors Office and has been fully cooperating with its investigation. We will continue to do so,” the Nissan spokesman said.